This resource was originally made to help my students with Autism cope with undesirable tasks. 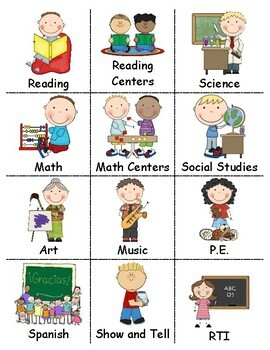 I later decided it would be good to use with students that have behavioral problems or just every day activities. · This strategy shows an expectation followed by something preferred (first work, then video game). · Boards show that one activity (usually a less preferred one) must happen before the next (a preferred one) can occur. 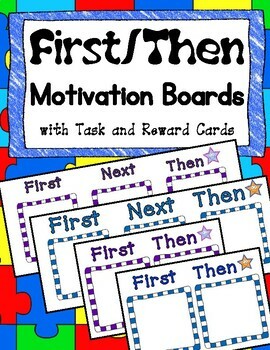 · Try using first-then boards to help individuals through non-preferred tasks (homework, chores, etc.). · Rewards must be immediately available. · The “Then” box may represent a choice time, break time, a specific activity (free play), or an object (new toy). It is okay to place a concrete object (like the new toy) on the “Then” box if no pictures are available. · Always offer rewards prior to negative behavior so the individual does not learn to misbehave in order to have a reward offered. · After a child has been compliant with the first then board, you can start to use the first, next, then board to gradually start to perform more tasks before rewards. 1. Take photographs or cut out the images available here to represent the “first”, laminate the pictures if possible. 2. Think about possible rewards. 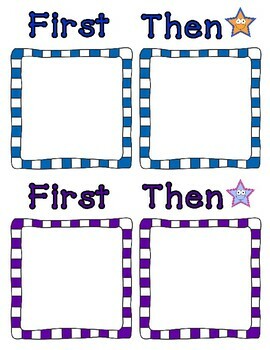 Use photographs, objects, or the attached images to represent the “then”, laminate if possible. 3. Use the First-Then board included here, or draw and cut out two large squares, one with “First” above it, and one with “Then” above it. 4. 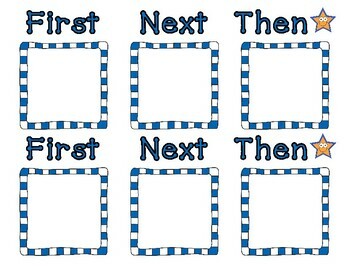 Use Velcro to attach pictures on First-Then board in the order shown in the image. Come back to Hoppin Around Elementary for more resources k-5 resources!